My wife and I did the el camino de Santiago from sjdp in 23 days. We loved meeting people from all over. We planned to do the Portugal one from Lisbon in 2016 but have to admit that after reading your blog, I have reservations. We thoroughly enjoyed last year’s adventure so thought Portugal could be similar. I enjoyed reading your blog. What is next on your agenda? Thanks for your comment. The Portuguese camino was definitely a very different experience to the French way (lack of pilgrims / accommodation / long distances etc) but I still very much enjoyed it and would recommend it to meet the beautifully hospitable Portuguese people. Many hospitaleros I met said how lucky I was to be doing it now whilst it was quiet rather than having to rush each day to get a bed… And they had a point! Next for me will be the Via de la Plata I think… Watch this space! I found myself smiling a lot while reading your account of your Camino Portugues. Beautifully done! I hope to do my first camino next year. As I only have a month off from work, I was planning on doing the Camino Portugues. But after reading yours and other people’s accounts of the different caminos, I might start with the “traditional” (?) SJPdP-to-SDC camino, as it sounds doable in less than 25 days. What do you think? I’m so happy to hear you were smiling whilst reading my blog! The French camino (SJPP – SDC) is slightly longer than the Portuguese camino and there are some lovely places to spend an extra night if you had the time (Pamplona, Burgos, Leon etc)… it is doable in a month but whether or not you could do it in less than 25 days would depend on how far/fast you can walk each day. It’s hard to say which one to do first, but personally I’m glad I did the French way first to have the social side and meet the amazing people I did, I went alone but was never really alone… whereas on the Portuguese way I was completely alone for the first 8 days! Not saying this is a bad thing, just a very different experience… The Portuguese way was also harder in the first week with the distances you need to walk to get to an albergue and the lack of arrows in places… the French way was easier…. Good luck deciding and Buen Camino! Hi Kat 🙂 I love your blog and want to thank you for sharing.. on October I plan being at the camino from Porto-SdC..I have 8 days so perhaps it’ll be better starting out from Rubiaes ? 🙂 I’ve always have blister problem on the other hand..have you any suggestion for them? I think it’s wonderful that you’re going to be walking the Portuguese way! Where to start will depend a lot on what kind of distances you want to walk each day. Barcelos or Ponte de Lima would probably be easier to get to from Porto than Rubias and they are both lovely towns to visit. If you could only visit one of these towns I would recommend Ponte de Lima, then you could have 6 or 7 walking days to Santiago depending on your pace. Make sure to air your feet regularly whilst walking (whenever you take a break take your shoes and socks off). Please don’t hesitate to ask if you have any other questions & Buen Camino!! Great tips Kat 🙂 thank you.. I love your blog. Like you, my wife and I walked Camino Frances in 2013 and are planning on walking the Camino Portuguese in 2015, probably starting in Fatima or Tomar. I appreciate all of the useful information you provide. It is hard to get good information on the Camino Portuguese. I thought Tomar was a very special place and the trail is quite well marked from Tomar onwards. I never made it to Fatima so I might have to walk it again via there one day! I also found Tomar to be the real jewel of the first part of the caminho – what a great town – absolutely beautiful, despite the fact that I had destroyed my feet the first day out of Lisboa (I actually got lost and CLIMBED 4 km uphill before bothering to look at my guidebook and realizing I was supposed to walk downhill to the Rio Tejo!). My first day ended up being 45 km plus 4 more (I stayed in Vilafranca de Xira as well)… I did hit some hot days the first several days out of Lisboa, but I don’t think the temp ever got over 30 degrees Celsius or so. After Tomar, the walk was much easier – that is, a bit less asphalt. I have to admit, my impression of the Brierley book was that it is not really very useful until you get to Porto – I had to wing it a lot of the time and some of his descriptions (during the first grueling days) were not very welcome: “Another lovely day … ” walking 35km mostly on paved roads 🙂 I would have much preferred that the book told it like it really is – “Another long, tough walk ..” 🙂 I took a great photo somewhere along the Lisboa-Porto trail, where someone had scribbled on a sign; “John Brierley never walked here.” True or not, that was my impression as well. His guide to the camino frances was much better. Well, the maps were helpful, to an extent, but the trail, as you note, often was unmarked – which, in a way, was kind of fun too, in a self-sufficiency way. That said, even the Lisboa-Porto portion really was a fantastic experience, and very satisfying too, even if, like you, I saw very few, if any, pilgrims during the first 8 days (actually, until Porto). The Caminho after Porto is a whole different kind of caminho -very social, and I ended up walking with about 9 persons from about 6 or 7 countries the whole way into Santiago. We were a great group, and I think I’ve made some long-term friendship with our merry troupe over those six or seven last days until Santiago – Absolutely fantastic! Santiago, quite frankly, was a let down and a bit of a culture shock too. It is quite simply overcommercial – and I arrived there at the beginning of October, which is not even the peak season. Good food, etc., but unless you’re walking the camino for religious reasons, it is just not the logical end to the hike. For that reason, I can’t recommend highly enough continuing the Camino to Fisterra (which is very beautiful though a bit busy with pilgrims continuing on beyond Santiago) and then further on to Muxia. I was lucky – there were “only” two torrential downpours on the way to Fisterra from Santiago, and in Fisterra itself, the weather was absolutely perfect! To me, though, the real ‘end’ of the camino is in Muxia. While I still met quite a few pilgrims in Muxia, Muxia feels like the real end of the camino. Hard to describe, but that was my impression. By the way, like you, I walked the camino frances last year, and it was another fantastic experience – I heard from others that it is getting more and more crowded, but that was not my impression last year (of course, I didn’t join in the ‘get up at 4 am and try to find a hostel before there are no more beds’ thing – if an albergue was full, I’d either continue a bit further and find another (the best often were between the stages in the Brierley book) or I’d just stay at a hostal. It makes no sense to me to rush the camino and worry about a place to stay at night (there are always places to stay sooner or later) – kind of kills the whole point of the walk, but to each his or her own, I guess. In that sense, the Caminho Portugues is very special and, as you wrote, quite different – less or no crowds at all, and almost none of the ‘competitiveness’ that I saw on the camino frances. , Overall, I would say the Porto to Santiago portion was similar to all the positive aspects of the camino frances, and without the crowds (though some albergues were less comfortable than I would have liked on this part of the caminho portugues). That said, because of the Lisboa-Porto portion (the first several days of 30-40km walks, a lot of it on asphalt or cobblestones, is definitely not for the faint hearted! If you can do it, though, I think it is really worth it – you really learn a lot about yourself spending so much time alone, but again, it is definitely not for evIferyone! Thanks again for your great blog, cheers, and Bom Caminho/Buen Camino! Thanks for your comments. I too really loved Muxia and found it to be the perfect end to my camino frances last year. I’m sorry to hear that you didn’t enjoy Santiago though, I agree it is very commercial but I still feel it has a special magic (like Tomar), and I love wandering around the streets and getting lost and always finding something new… Like the nuns who sell the Santiago tart from the monastery, or the daily market (and the amazing restaurants attached to it that sell the daily catch)… There’s a terrific audio guide walking tour, you rent the MP3 from the tourist info centre for €12 and follow a map, it’s full of terrific facts and sights. I usually always decide about 1 week before going on camino as well, but I do hope to walk the via de la plata next… I’m not sure when though! Hi. I’ve read most of your blog over the last few days and love it. We’re aiming to walk the Camino Portuguese in April 2016, starting at Lisbon, we walked the Camino Frances in two stages in Sept 2014 and May 2015. It was a wonderful adventure and, as happens with many folk, we are hooked. It seems that most people who walk the Portuguese choose to start at Porto, so it was very interesting to read that part of your blog relating to the Lisbon to Porto section. It does seem to be much different to any part of the “Frances”, particularly all the road walking that is involved. Having seen similar comments about the roads in other blogs we are now actively looking at walking the more “coastal” route through Sintra etc. (which we have visited and found to be a fascinating place), joining the “Central” route further north Did you, by any chance, consider that route? Thanks again for the blog and super photos. 2 years ago when I walked the Camino Portuguese the trail from Lisbon to Tomar seemed to be a work in progress. I spoke to someone from the Via Lusitana organisation at the time and they were aware of the lack of arrows for that stage and were working on improving the trail. The coastal route that I know of splits off from the central route at Porto… But I haven’t heard of a trail following the coast from Sintra. No matter which way you go, I think you’ll love it. The people, countryside, towns, historical and cultural sites are incredible. I am thinking of walking from Tomar to Tui, using the coastal route from Porto. I am a slow walker and would like to walk 15-20 miles/day. How many days would this take? I have done some of the Frances and was really disappointed with the scenery. From my calculations, Tomar to Tui should be approx 233 miles, but I haven’t walked the coastal route myself yet, so I’ve based this on the central route. If you’re walking 15-20 miles per day, then this should you take you between 12 to 15 days. What part of the Camino Frances have you walked? I’ve heard wonderful reports about the coastal route from Porto so I’m sure you’ll be in for a nice treat. 28 days is a good amount of time… If you could also manage to visit Santarem, Tomar & Coimbra (all before Porto) – possibly by bus or train if you don’t have time to walk – then you’d get to see some beautiful & very historic towns. I think the walk from Santiago to Finisterre is really beautiful and I also really liked Muxia (it was much more peaceful and quiet compared to Finisterre when I was there in June a few years ago). All in all, I think you’re going to have a wonderful time! Thank you so much for making this wonderful blog! I have an odd question – which part of the camino was your favorite? I would like to do 6 days but do not really mind if we make it to Santiago as I have done other routes already. If you had to choose where to start and end for a 6 day trek, where would it be? Santarem to Coimbra (~175km) because of the towns Santarem, Tomar & Coimbra. Porto to Tui (~140km) because of the towns Porto, Barcelos, Ponte de Lima, Valenca & Tui. what rout would you recommend if we (me and my pregnant wife) want to walk 3 days, we can leave and get back to Porto by train or bus to start point. I haven’t walked the coastal route from Porto yet (I’m hoping to later this year!) but everyone who walks from Porto or Matosinhos along the coast really enjoy this walk. Otherwise after Porto, Barcelos, Ponte de Lima & Valenca are beautiful towns that you could maybe get transport to and walk around. We did the Camino de Santiago from St Jean last year and loved it. Walked to Finnesterre (had a bit of a downer when reaching Santiago -too many people, etc ) but loved Finnesterre. Now we are thinking of Portugal and not sure whether to do the lit from Lisbon or just from Porto along the beaches. Read all the previous comments but…… Anyway won’t be until next year, maybe Sept. but would like any more comments. Hi there! We love your blog – it’s great for us who are just starting to get into long distance walks! Shikoku has been on our wish list for years after doing part of the 88 temples as day walks in 2015. But, I have a question about the Camino Portugues…. we walk around 20-25km a day presently and we have a lot of time so are not worried about taking longer on the trail. We wanted to go from Lisbon, but a little worried about the walking on highways and lack of accommodation. Has it changed enough that we would be able tofind accommodation covering these shorter distances, with possibly stretching it to 30km if we had to? Are the arrows easy enough to follow now? Cheers! And the arrows are much better too, they’ve done a great job. I walked The Camino from SJPP last year and am now planning my Camino Portugal. I’m leaving Sept 19 starting in Lisbon. I made plans before reading your Camino Portugal blog and then wondered what the heck was I thinking. I just finished reading your PCT blog and was blown away by your journey. I decided to reread your Camino Portugal blog again. Read through some comments and saw you did it again in 2016. Basically, what I’m trying to say is, I’m not so worried about the Portugal Camino anymore. 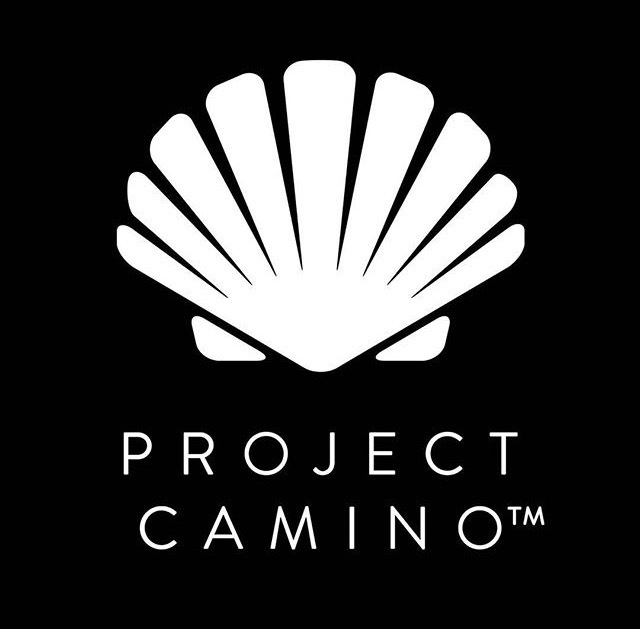 I went with a friend my first camino but will be doing this one alone. I’ve enjoyed reading about your experiences and it’s given me strength and knowledge to know I’ll be just fine. You’ll be fine and you’ll have an amazing journey. I’ve re-walked this Camino a few more times now (both the central and coastal) and there’s a lot more accommodation available now than when I first walked. The Portugues people are incredibly kind and friendly, it’s a stunningly beautiful and historical country and the food is simple but delicious. I’m envious! Bom Caminho and don’t hesitate to contact me if you have any questions. Did you book all of your accommodations ahead of time? I’m headed off next week and was wondering how much I need to book in advance! Sorry! I didn’t book much of my accom at the time and hopefully you haven’t needed to either as there’s quite a lot more accom now than when I first walked a few years ago. If you’re still out there, I hope you’re having a fantastic experience. Bom Caminho! Firstly, let me say that I’ve enjoyed your blog on the Camino Portuguese immensely; it was almost like walking it with you. Myself and 2 other Ozi boys (from Melbourne) are planning to walk this Camino in 2018, and so we’re after as much information as possible; your blog is an excellent source for this, even though we probably will not walk your exact route. I was also encouraged by the updates that you applied as an addendum in 2017 – they are somewhat of a relief to know that signage is being improved all the time, and that there are new albergues being opened up as time goes by. One of the guys and I completed the Camino Frances’ in 2015, and I so agree with you that meeting people on a Camino trail is the absolute pinnacle of the experience. Our plan is to commence from Lisbon in early May 2018 and finish sometime in early June, passing by Muxia and Finisterre after Santiago. May I congratulate you again on your courage, your sense of adventure and your willingness to so eloquently share your wonderful experiences. You blog has made me super eager to get back on the trail and start experiencing what these Caminos have to offer. I’m very happy to hear you enjoyed the blog! The Portuguese Camino has a special place in my heart and I’m sure you’ll all enjoy it, the hardest decision will be whether to continue the Central Camino from Porto or join the Coastal. – They’re both beautiful, so it really is a hard decision! Thanks for your advice. We’re likely going to take a detour to Fatima from Santarem, which will add an extra day, and our schedules are pretty tight, so I’d imaging we will take the Camino Central, but we’ll play it by ear and see how we’re travelling, so to speak. Thank you again Kat, I’ll have a look at it, and all the best. If I want to start walking from Lisbon, How much (aprox) do you think it would have to be my budget? Do you, by chance, have the names of the places where you stayed? The budget will mainly depend on what type of accommodation you stay at. Albergues tend to cost €6-10, private hostels €10-15 and pensions slightly more. I’ve listed the accom I stayed at in my blog. In addition to accom, allow €3 for breakfast, €3-5 for lunch and €7-10 for dinner, cheaper still if you make your own meals. It’s a wonderful Camino and I hope you have a terrific time! I had a great time (and smiled and laughed quite a few times) reading your post on the Portuguese Camino! Thanks for sharing. I would like to do it cycling instead. Would you recommend the same route you did or do you know if there is an alternative route for cycling? I’ve taken a mountain bike on it once (I hired it from Lisbon and sent it back from Santiago) and i wouldn’t use anything but a mountain bike if you wanted to stick to the actual Camino trail. There are quite a few mountain parts where you’ll probably have to get off and push – the one section I definitely wouldn’t take the bike is over the mountain between Ponte de Lima to Rubiaes. Riding along parallel roads would be easier in some parts but you would figure this out as you go. There isn’t a waymarked bike path as far as I’m aware. 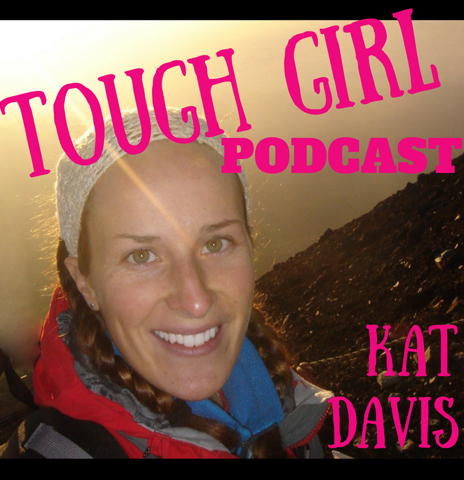 Loved your journey Kat! I plan to start The Portuguese on 1 April 2019, walk to Santiago and then head back and do a different option on the way back to Lisbon. Want to be done May 15, 2019. Anyone else thinking about this time? Thank you for your the wonderful suggestions. My husband and I are walking the central camino from Oporto at the end of August. It appears your Cicerone guidebook will not be available through Amazon until August 31. We live in the US – is there any other way to get it prior to our trip? Hi Carin, thanks for letting me know. I’m just checking with the publisher and will come back to you ASAP. I’ve checked this for you and until it’s out in the US, the options are to buy it online from the publisher Cicerone (www.cicerone.co.uk) or other international online retailers like http://www.amazon.co.uk. I hope this isn’t too much of an inconvenience. Bom Caminho to you and your husband!